But the descent was fast and exciting. but was overrun by the Christian forces under the Catholic Monarchs in 1485, putting in place another piece of the jigsaw of the Reconquest of Spain. The day concluded with a spectacular rising of the moon over the sea, lighting up the surroundings with a spectral glow. With the loan of a smart B’twin hybrid, fully equipped with disc brakes and suspension, and enough low gears to climb Everest, I set off on mini-adventures along the coast in both directions, and when sparkling seascapes lost their interest, I headed up into the mountains that provide a brooding backdrop to this coastline. 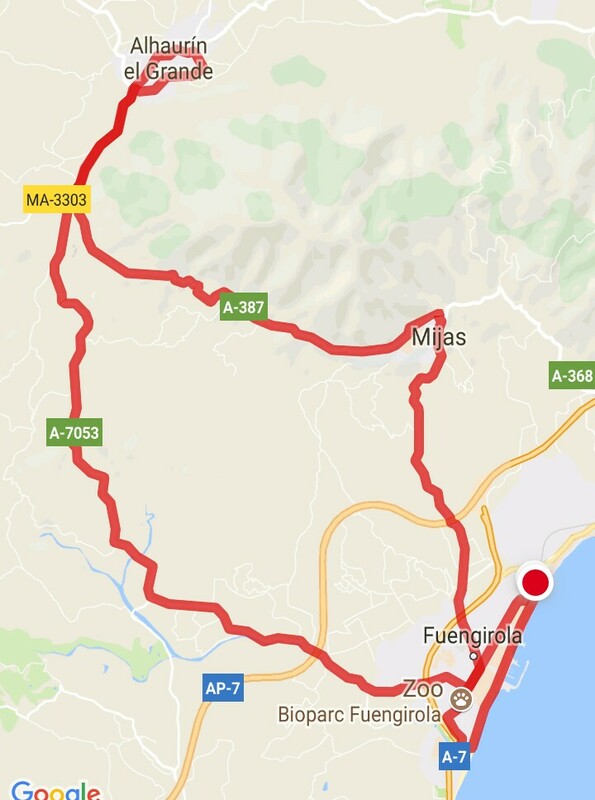 but going west towards Marbella was a mess. Narrow cycleways, poorly maintained and bedecked with dangerous obstacles, made the westward exploits challenging and unappetising. 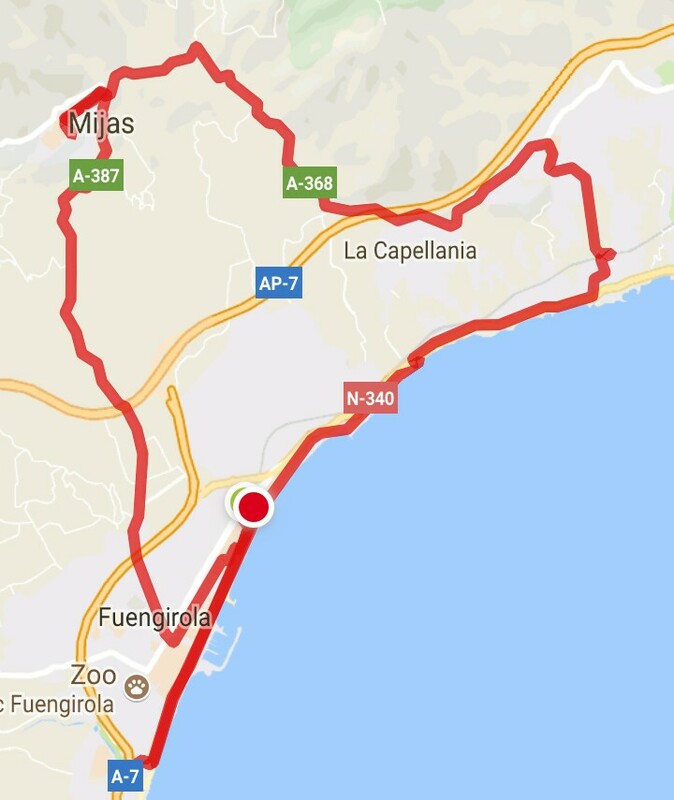 The furthest I ventured to was Calahonda, and then braved the busy coastal A7 for the return journey. But it was fast and not too dangerous, fortunately. the beautiful white village (pueblo blanco) hugging the side of the mountain, I climbed to almost 400 metres in less than 5km, but the views over the coastline were stunning. T​he village almost enjoys the status of being a national monument, so assiduously is the fabric and decor of the architecture protected. Such beauty, however, has its drawbacks, making it a ‘honeypot’ for coach tours and visitors….. but a small price to pay.